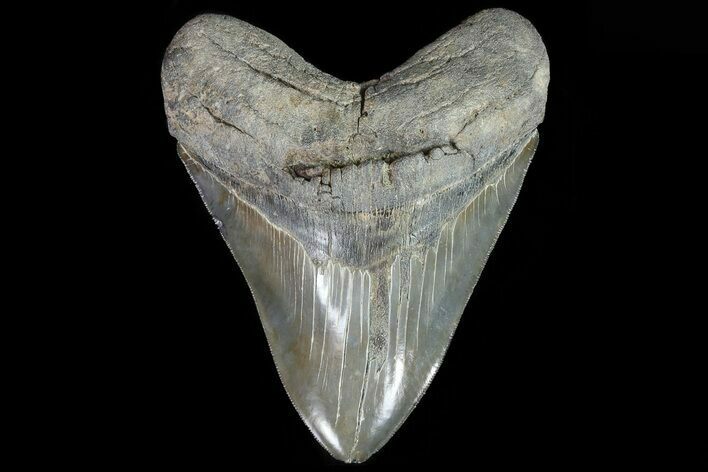 This is a massive 6.13" long fossil Megalodon tooth from Georgia. 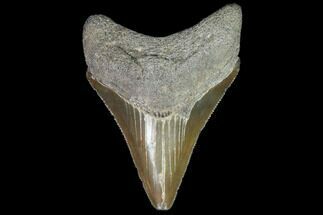 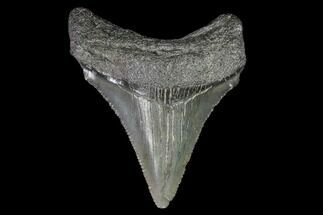 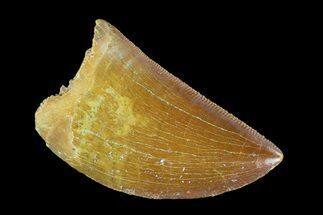 Complete teeth over 6 inches long are pretty rare finds A tooth of this size would have come from a super-sized Megalodon shark, probably in excess of 50 feet in length. 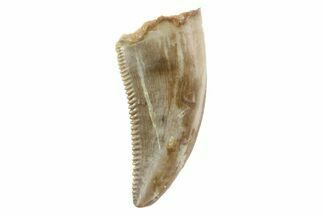 The tooth still retains most of the sharp serrations along the edge of the blade with a huge root and nicely colored enamel. 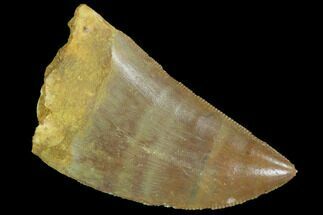 There is some minor feeding damage to the tip and an enamel peel in the middle of the blade. 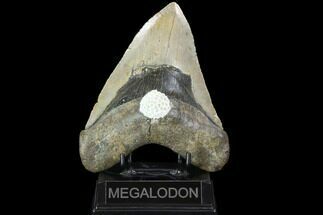 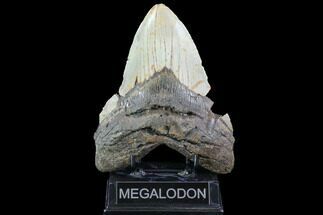 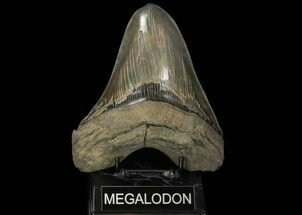 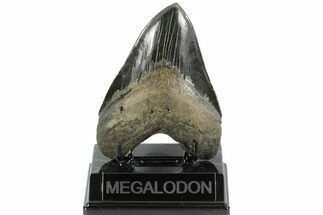 Like basically all the Megalodon teeth we sell there is no restoration or repair.